Microwave repairs should always be performed by a licensed professional, due to the nature of the appliance. 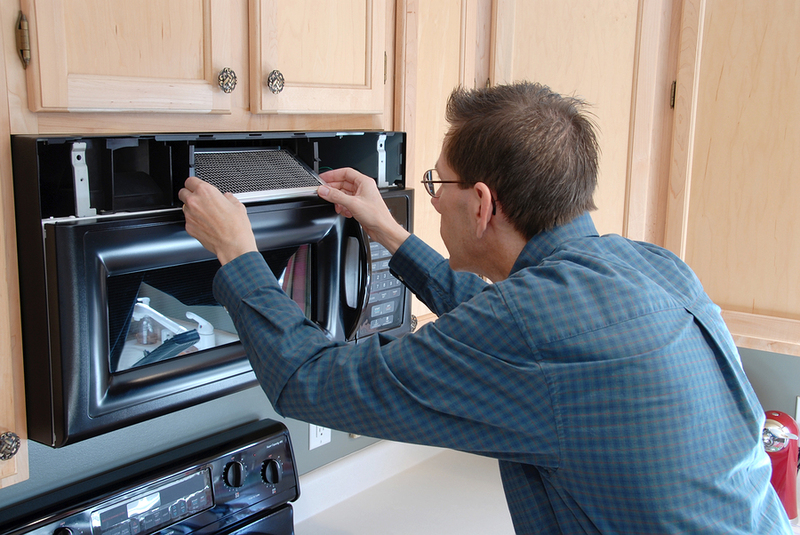 It takes a specially trained technician to properly disassemble and repair a microwave. Our technicians are experts in repairing any manufacturers’ make or model microwave. We can help you have your microwave up and running again, in most cases on the same day you call us. At Appliance Repair Experts, we are available for same day service from 8 AM to 5 PM, Monday through Saturday. We know that appliances do not break down at a convenient time (is it ever convenient? ), which is why we provide flexible service hours for our clients. We encourage you to contact us today if you are having any issues with your microwave oven. Our main concern is the safety of our clients, which is why we strongly suggest requesting a service call on any malfunctioning microwave. A microwave oven works on electromagnetic waves, and can be a dangerous appliance if not repaired correctly. Due to the complexity of the construction of a microwave’s internal parts, we recommend that only a professionally trained technician perform any service to your appliance. Simple cosmetic repairs, such as replacing a handle or the door seal, can be done by a service technician or as a DIY project. If you are a “do-it-yourselfer,” contact our showroom for any parts you may need for the repair. We keep a fully stocked warehouse and are happy to answer any questions you may have. We are here to take your call at 702-515-1515.